with lowest price on hand, due to the newly stipulation for automobile�s emission standard carried out in China that all of trucks should be up to Euro III since Jul.1st., 2008, otherwise unable to sale and apply regestering in China. Under this circumstance, we have to consider to place these dump trucks (Model:HFJ1023V) into foreign trade markets in the lowest price at USD3380.00/set FOB China port. 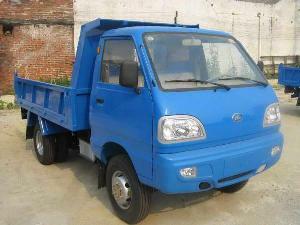 The price we offered is very very lowest, and we can guarantee the quality is good, If you are interested in these light-duty dump truck, please contact us ASAP. Nanning Gaoli Industrial & Trading Co., Ltd.
Company Name: Nanning Gaoli Industrial & Trading Co., Ltd.